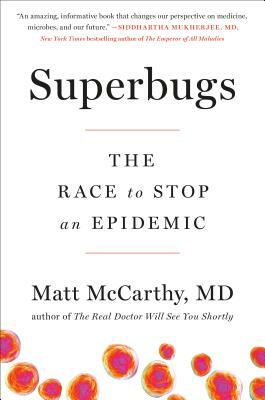 "An amazing, informative book that changes our perspective on medicine, microbes and our future." Dr. McCarthy explores the history of bacteria and antibiotics, from Alexander Fleming's discovery of penicillin, to obscure sources of innovative new medicines (often found in soil samples), to the cutting-edge DNA manipulation known as CRISPR, bringing to light how we arrived at this juncture of both incredible breakthrough and extreme vulnerability. We also meet the patients whose lives are hanging in the balance, from Remy, a teenager with a dangerous and rare infection, to Donny, a retired New York City firefighter with a compromised immune system, and many more.